Bay15 has you covered for the second half of August. Be a part of the fun and frolic we have planned for you this month! We’re taking you on a little trip down Lucknow lane with our first ever edition of the Lucknowi Food Festival. Think fragrant biryanis, succulent kebabs and creamy kormas with the air full of aromatic spices. Take your taste buds on a culinary adventure halfway across India without moving from your seat! And to really elevate your experience, we have live music too! 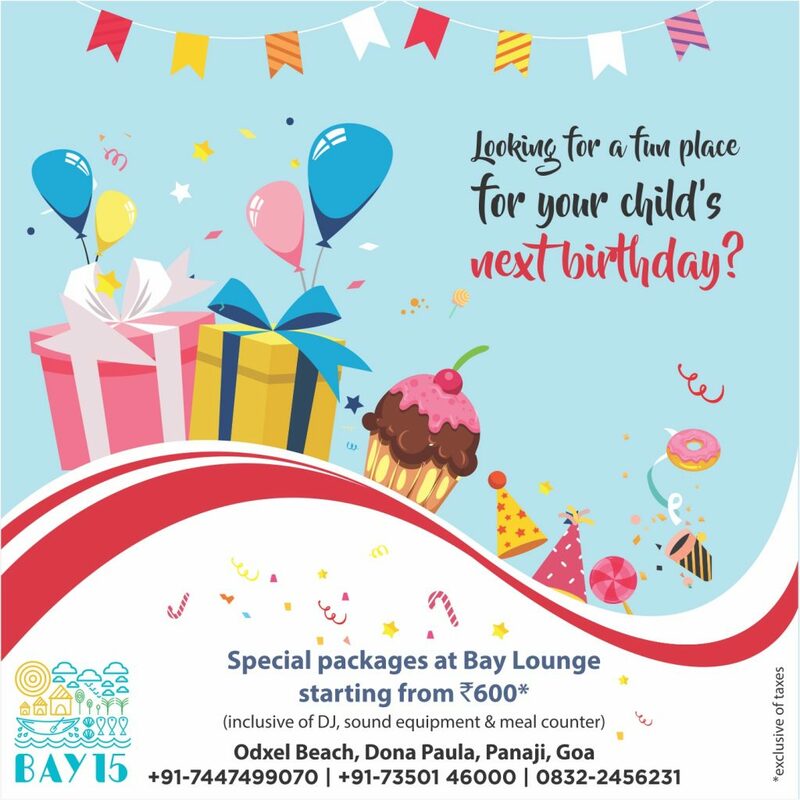 You’re only young once so give your child the best birthday of their life at Bay15! A kid’s birthday party is as much about the food as it is about the games. So we’ve curated a special kids’ menu that’ll be a hit with the youngsters! From pizzas, burgers, pastas, sandwiches and a variety of fried snacks to the star of the show, an ice-cream and candy stall – our food counter has it all. Our menu is designed to have your child and their friends fall in love with the food! All packages come inclusive of the venue, DJ, sound equipment and meal counter, this is as attractive as an offer can get! Our World Cup screenings were a hit, so we decided to not stop there. We’re back with round two of football broadcasts. This time, it’s the Premier League that’ll find itself on our screens. Check our Facebook page for regular match screening updates. Download the Bay15 app, not only will members get a 15% discount on food and drinks, but also stand the chance to win merchandise through our app based game predictions! The fact that our matches are screened in surround sound is not the only thing we can boast about. Download the app on iOs here and for Android here.